You never know when accidents and disasters will strike. In a world as unpredictable as ours, we need to always be prepared for whatever misfortunes come our way. A gas leak, welding spark, unattended cooking, or electrical fault are small issues that could trigger destructive accidental fires. No matter how small the fire accident is, the lack of water support can make it last longer and grow bigger, destroying everything in its path. There have been countless accounts of firefighters arriving in fire accident areas just to find out that their water supply is limited. Injuries, loss of property, and even loss of lives are at stake when we talk about fire accidents and its dangers. To prevent an issue like this, we need a steady supply of water to help firefighters put out the fire as soon as possible. This is where the need for fire hydrants come in and BR Plumbing & Excavations can assist. Fire hydrants are active fire protection devices that aid firefighters in accessing local water supply quickly during fire accidents. Firefighters only need to connect their gears and hoses to the fire hydrant, and pressured water will immediately come out. By installing fire hydrants, you do not just protect your building. Fire hydrants also make it possible for firefighters to defend your neighbours against fires as well. If you want to have your fire hydrant repaired or maintained, we are the right company to call. We are committed to giving our clients the service that they deserve, which is why we only employ the best workers. Fire hydrant systems require six monthly inspections. Contact our team for effective fire hydrant repairs and installation! Save costs and ask about combining fire hydrant testing with annual backflow testing, hose reel testing &/or thermostatic mixing valve testing. Engage BR Plumbing & Excavations to test your fire hydrant for optimum performance. DON’T GET CAUGHT BE AWARE… It is the responsibility of the building owner or occupier to ensure that all fire safety products are tested and maintained to the requirements of the appropriate Australian Standard. This is a local council requirement, and insurance companies may not pay out claims if testing and maintenance is not up to date at time of a fire event! 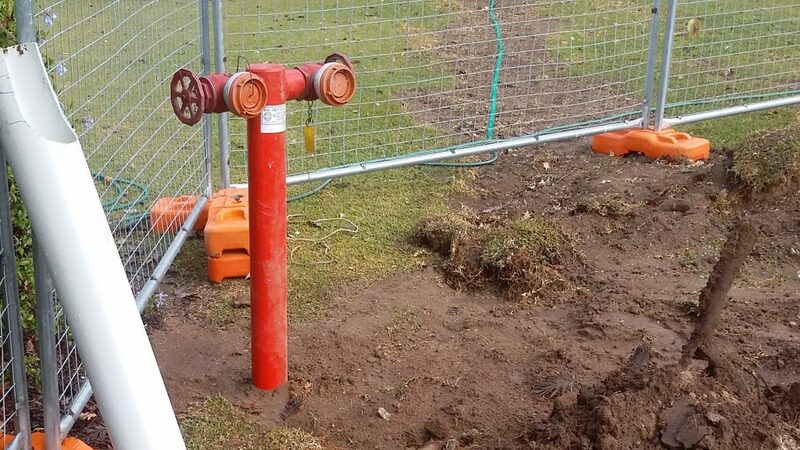 Contact BR Plumbing & Excavations to arrange your six monthly fire hydrant system testing!